The day of my high school graduation I received my first flat iron. 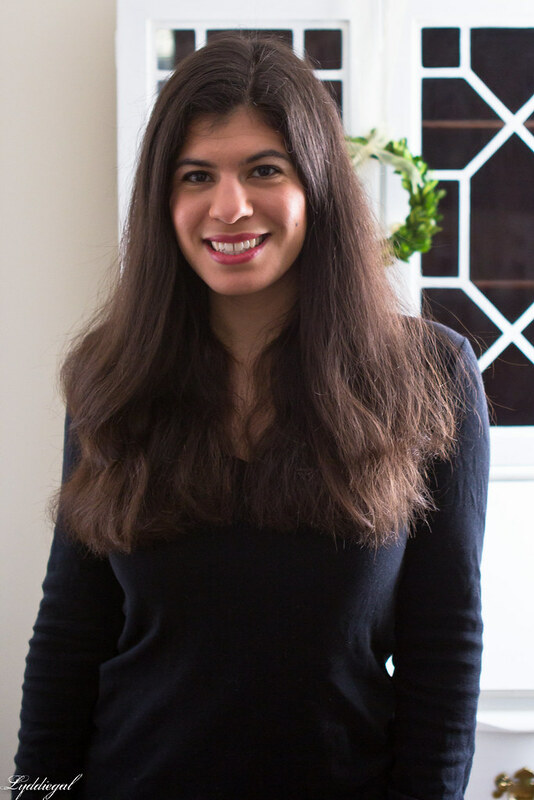 When I realized how my hair could look once all the frizz and fluff was coerced into silky smooth strands, I never went back. 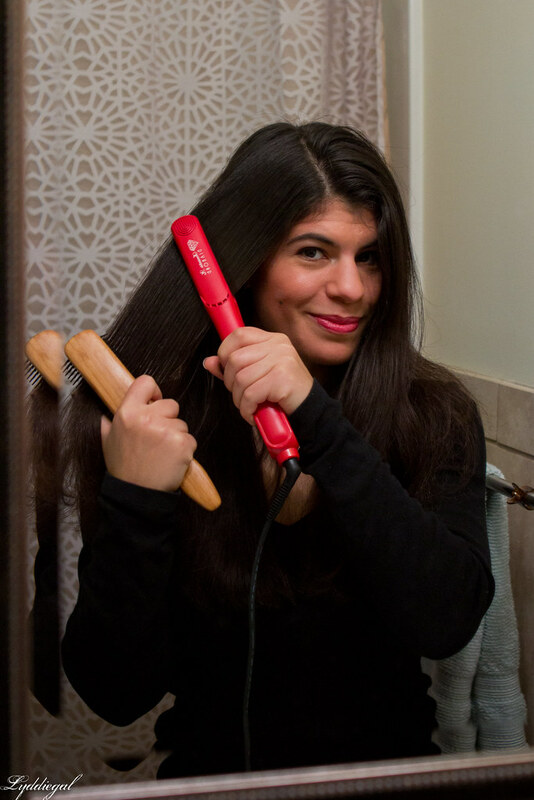 Over the last decade I've had many flat irons, but they are constantly evolving and improving the technology, so when Irresistible Me invited me to give their Diamond flat iron a try, of course I said yes. 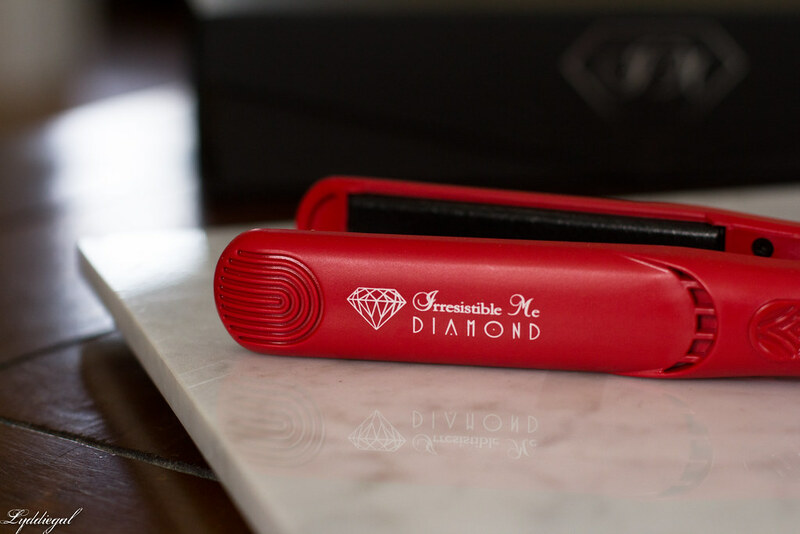 Irresistible Me's Diamond Hair Styler hits all the marks with the expanse of features, quality of the ceramic plates, and great look and feel. The plates are the most important part of the the straightener, and these ceramic plates are coated with tourmaline and diamond particles. 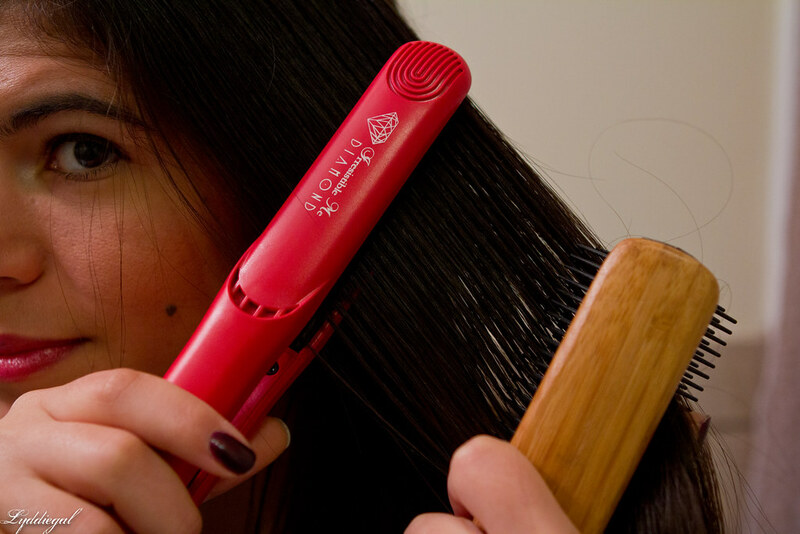 The benefits include a smoother plate that glides easily over hair, and increases the amount of negative ions in the heat, which causes less damage. 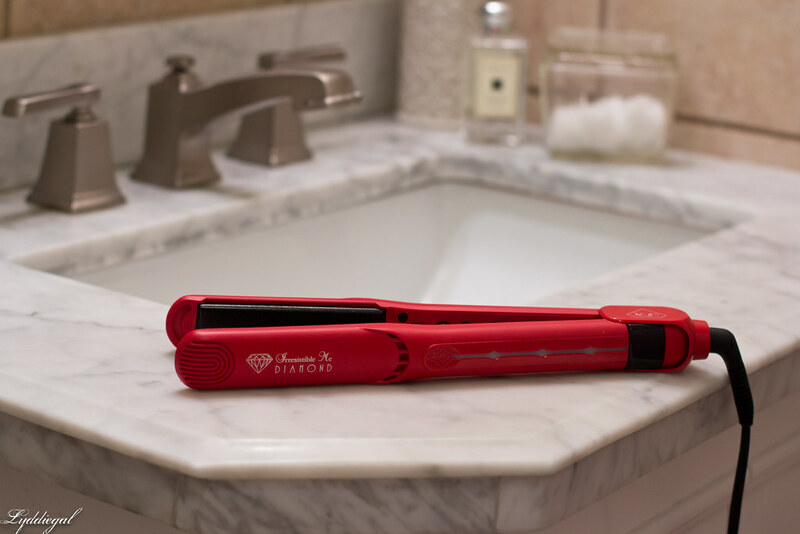 The Diamond iron features an accurate electronic temperature display, which updates in real time, so I don't have to guess when the iron reaches the temp I want - not that I have to wait long at all - 20 seconds at the most! The controls are on the inside, so no worries about bumping and changing them, plus there is an auto off feature, so I no longer need to buy this doormat, or send frantic texts to Sean after I've left for work demanding he make sure the straightener is unplugged. My favorite feature of the Diamond is that it has dual voltage, so the next time I'm abroad, I wont have to fuss or blow fuses with voltage converters. There may not be any trip on the horizon, but I'd like to remain hopeful and now I'm prepared! 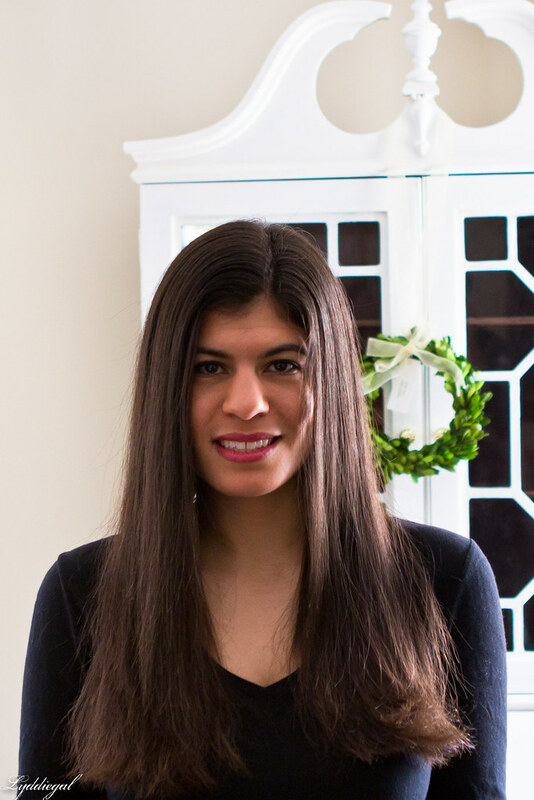 The results with the Diamond are great - I have lots of thick hair, so sectioning it off is the best way to efficiently straighten it. As long as I work in small segments, I don't need to make more than one or two passes, and all in all, it takes no longer than fifteen minutes. I also like that the floating plates allow the iron to be use to create curls, and the cool touch tips are a wonderful feature to have when using the iron to curl. Last, the price point of the Diamond is amazing - currently on sale for $104. This is nearly half, or more than half the cost of most rival flat irons with the same technology and features. The Diamond has absolutely replaced my old flat iron. Irresistible Me provided me with this flat iron for the purpose of this review, my views and opinions are my own. Wow - the before and after shots are very telling! This iron did a fabulous job. Personally, I haven't had a flat iron for years. 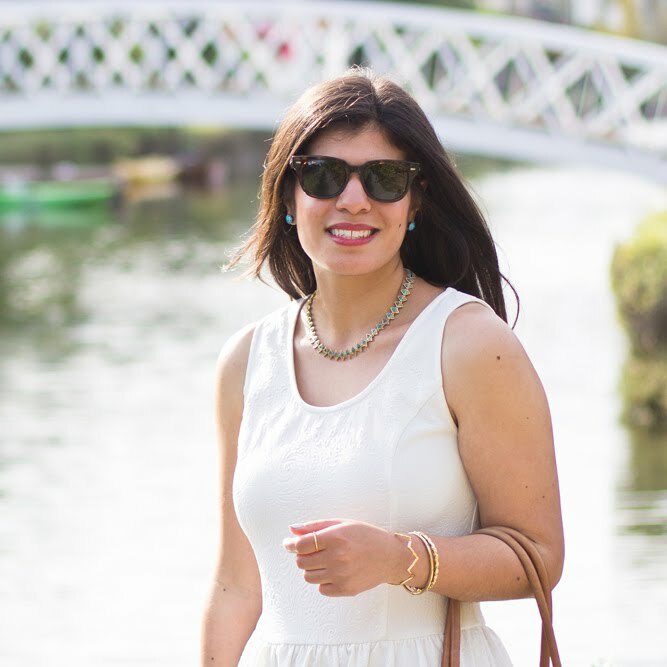 I had a bad one in my university days that ruined the natural texture of my hair forever and I'll never truly forgive myself for being so obsessed with straight hair that I let that happen. (Where were tourmaline plates back then?!) But if I were going to buy one, the price and results from this are absolutely right! Love this flat iron dear. I use one too and I can't live without mine! Love this flat iron. I use it too and it's so great for sort hair as well! Your hair looks great! Well I love their curling wand, so no doubt I would love the straightener too. I use my current straightener to make waves a lot, but I'm not super impressed with its quality (it was a cheapie) so I bet this one would be so much better! Love how smooth and shiny your hair looks!